The ability to create additional mirrorsspace and unusual accents using game highlights not only used in interior styles. In areas mirrored decor also used, both for the purpose of visual deception, to expand the boundaries of the territory, and for decorating small architectural forms and paths. But the mirror - an expensive material, and to strengthen it is quite difficult. And if a family has children, then this might be the decor and not safe. That is why some owners prefer the mirrored acrylic - plastic variety, which is much easier and safer than conventional mirrors. 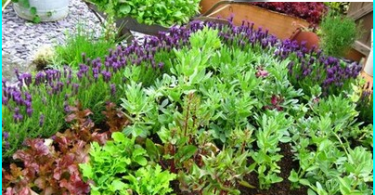 Let us examine how this material is suitable for landscaping, and how to use it properly on the site. As used in the acrylic portion of the design? Polymeric materials which include acrylic,annually expand the range of applications. If the original mirror plastic produced only for indoor use, today created a species that is not afraid to fluctuations outdoor temperatures, the weather and the sun. 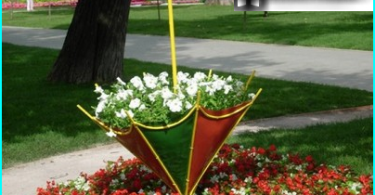 At first they were used for outdoor advertising, but the landscape designers quickly appreciated all the benefits of new products compared to conventional mirrors. The main advantage of acrylic is its easeand impact resistance. 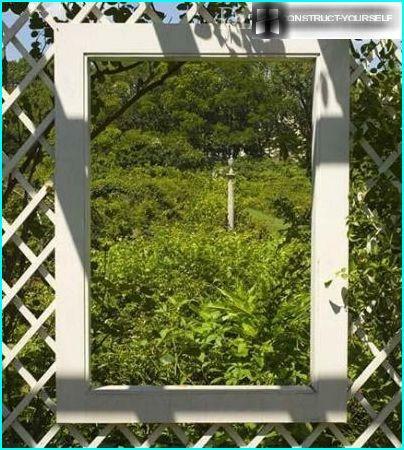 Such mirrors can be hung anywhere in the area without creating a solid support and not be afraid that the child accidentally thrown stone will break them to pieces. Even if the acrylic surface will crack, it will not crumble into fragments, creating a traumatic situation, and will remain in place. For aesthetic characteristics of the polymerthe material is not very different from an ordinary mirror, because it has a high reflectivity (over 92%). However, there is mild image distortion, but this factor is not important for the design. Pleases and colors. For example, a commercially available acrylic sheet, not only the standard silver-gold tones, but also all the colors of the rainbow. This allows the use of plastic in monochrome landscapes, where the owners kept the entire design in one or more close color tones. But it must be said about the "skeleton in the closet": mirrored acrylic is very easy to scratch, why lose a spectacular view of the coating. Therefore, cutting and assembly should be very careful. Another nuance - requires care. Dust, rain drops, etc. Reduce the reflective properties. Therefore, it is necessary to constantly monitor the status of the mirror surface, clean it with special liquid non-abrasive agents. 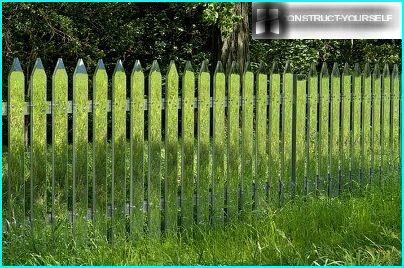 The most common place that decorateacrylic mirror, a fence. You can completely sheathe the inner surface of an old fence with plastic and thus hide the border area, making an infinite space. Some owners cover plastic panels shared with the neighbors fence, whose style does not match the design of the site (and at the same time hide themselves from prying eyes, for coating solid!). But more often decorate a fence partially, creatingSLR openings imitating the way on the other side of the site. Arches calling distance, false windows, which reflect the green and the sky - all this creates the illusion of infinite space, which is very much appreciated in the narrow and limited in an area. You can sheathe acrylic pavilions, terraces, doedging for flowerbeds and rabatok, but as a floor covering the material completely unusable. From pieces of mirrors create mosaic panels on the tracks and the party, but with acrylic this will not work. All too quickly, he scratched and lose gloss. In short, plastic mirror should be positioned vertically or on the ceiling of the gazebo, but not underfoot. Examples decoration section, you can explore more in the article on the mirror, and we also focus on acrylic mounting regulations and analyze the most frequent mistakes of his placement. Since acrylic is unbreakable and easymaterial, its fastening options have several. The easiest - on liquid nails. Plate or cut a piece of dot smeared across the back surface and is fixed to a solid base. For one thing! The substrate must be perfectly flat, otherwise there will be noticeable waves and swings. However, this problem can be avoided if you buy a thicker sheet: no 2 mm and 3 mm. He dense, badly bent, and therefore, will not adjust to the foundation. 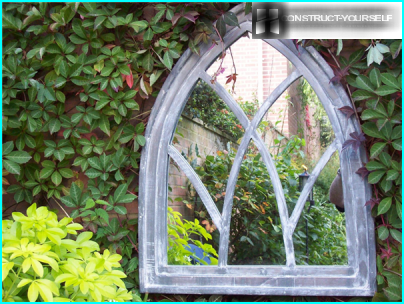 If you draw up land mirrored windows, theYou can take them on the U-shaped mounting, fitted with rubber gaskets. By the concrete railing fastening fix plugs and a tree, and can be self-tapping screws, closed top caps. However, acrylic is better at framing the perimeter frame, as thin sheets when the temperature drops a little "play", expanding and narrowing, and the original shape can not return. A frame will serve as the framework from which the mirror can not jump. 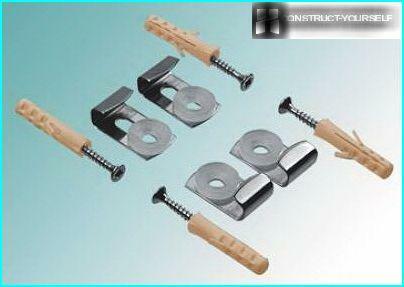 You can fix the small plates (1200 to 2500)hidden fasteners in the form of plates. Typically, this attachment is used when creating a monolithic mirror surface of a number of sheets, placed back to back to each other. If you are not a designer, and a regular summer visitor, who oftendecorate your site without the help of professionals, pay attention to the following issues that may arise due to incorrect placement of mirror fragments. From morning until noon they will beat the bright sun. With such a highly reflective acrylic ability of all beams become enemies of the plant, located next to the mirror. They just burn up, because the mirrored plastic accumulates and increases the impact of rays like a magnifying glass. The same thing will happen with wooden surfaces: chairs, tables, etc., that fall into the range of reflection acrylic sheets.. The tree will turn black, and even thin plastic in the heatIt may melt (for example, children's toys). And if there will be covered spanbond bed or bed, then consider your shelter and the season did not live as instantly holes. 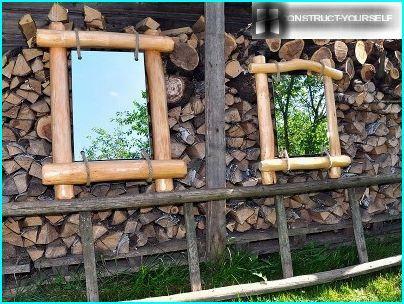 Mirrors for the birds - just extends beyondsection. And they often lay himself to death, trying to pierce the breast invisible barrier. If you do not want to collect every morning corpses of sparrows and other birds - do not install mirrored decor too open space, so that it was visible from afar. It is better to put in places where per square meter and a half beforeMirror is a tree, a bush or some sculpture, fountain, etc. If, however, the idea of ​​open space you really like, then you can cover the translucent acrylic grids, and even better -. or hang next to a stuffed figure of a bird of prey, like the crows. Small birds are afraid of predators and stop gradually fly to the other side of the site. Mirror surface only givethe desired effect of the image, if it is placed under a certain angle, for example, slightly bent or turned sideways. It is necessary to direct the view on greenery growing in front of the mirror box, path, or other landscape objects. When looking at the acrylic will feel that the site continues, and on the other side opens a new landscape. You can bring perspective to the sky. Then the mirror element will reflect the heavenly landscapes: clouds, sunsets and so on. If the frame is attached vertically, thenthere is a risk of losing the effect of the continuation of the landscape as a mirror to himself can not grow anything, and it will reflect nothing. From a distance, it will seem empty acrylic frame. An exception is the fence that completelyupholster coated. 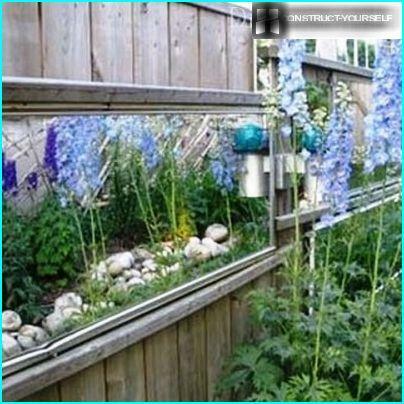 In this case the mirror surface is so extensive that it can catch and reflect most of the decor and plants of your site. If you are interested in mirror elements,start it with acrylic. Since it is easier to manage, and if something does not succeed, and it is easier to dismantle. Conventional mirrors are too heavy and require experience in their cut and design.